Properties in Central Visayas average 4 out of 5 stars. One Oasis, Our Oasis awaits you. Free breakfast first day. Property 55: One Oasis, Our Oasis awaits you. Free breakfast first day. 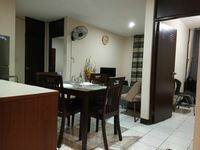 2 Bedroom Condo in Cebu for a minimum of one night stay. Property 59: 2 Bedroom Condo in Cebu for a minimum of one night stay. Best Location in Cebu City at IT Park where journey starts discovering Cebu’s ..
Property 84: Best Location in Cebu City at IT Park where journey starts discovering Cebu’s .. Overall, I liked our stay. It's quiet, inside a gated and guarded area. Also inside the gate is a 7-eleven which is convenient. The guards will work tirelessly to get a taxi for you when needed. Nice touches. Inside the unit is ok. Clean enough, with 3 bedrooms and 1 full bath. The second bath is toilet only. The rooms were all clean enough, and there were extra towels and bedding enough for 4 people. The owner was good to work with. We had an issue with a light, and he came immediately to resolve it. We stayed at the Amalfi condo in Cebu for 3 weeks. The condo was modern and well equipped. Very nice swimming pool. Location is a bit far from downton and shopping center but we could take the taxi from &quot;grab taxi&quot; that is very cheap. The owner was very helpful to answers any questions that we may have. I recommend the Amalfi condo.